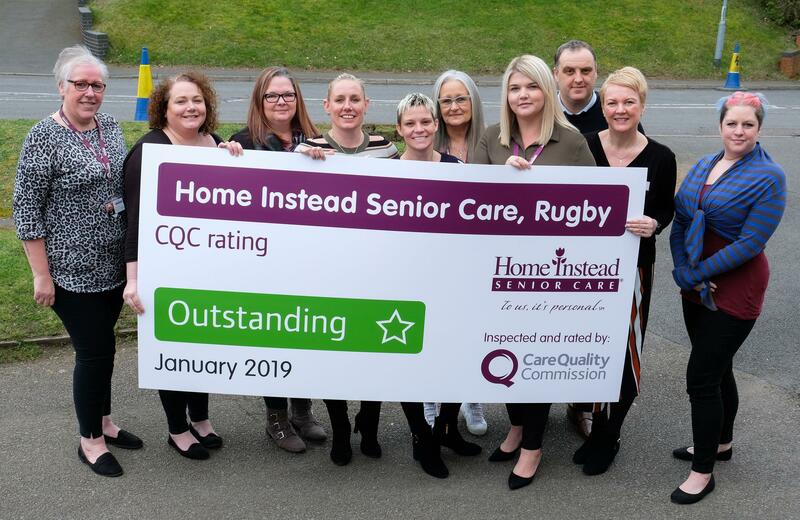 Since Sarah Slater established Home Instead Rugby in 2014, the company has been inspected twice by the independent regulator of health and adult social care in England, receiving an ‘outstanding’ rating both times. The achievement is particularly notable because only three percent of adult social care services are rated as outstanding, yet Sarah and the team in Rugby have been awarded Outstanding twice! Inspectors interviewed staff, clients and client families and the resulting report on Home Instead states that ‘people’s feedback described it as exceptional and distinctive’. Many examples of compassion are given in the report. The report described an instance when a Home Instead CAREGiver volunteered to stay with a client overnight so that they could avoid a stay in hospital. In another, a client was supported by their CAREGiver to help her with her health and fitness. The CAREGiver accompanied them on trips to the gym, on walks and in planning healthy meals to minimise their weight gain and improve overall health. Of the double ‘outstanding’ accreditation, Sarah Slater said, “I couldn’t be more pleased and proud of my incredible team. I knew they were outstanding even before our first inspection in 2016 but to have this confirmed and now reconfirmed by the industry’s governing body is just fantastic. Martin Jones, managing director of Home Instead said, “We extend our congratulations to Sarah Slater and her team, who consistently go the extra mile for their clients.